This is a small selection of installation work done by JustCarKits in a variety of vehicles. 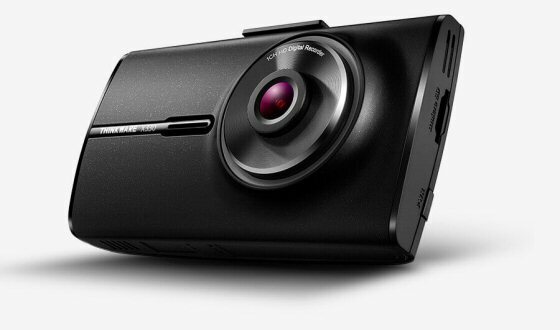 We will periodically add more images of handsfree car kits, car audio and reversing cameras to the gallery. 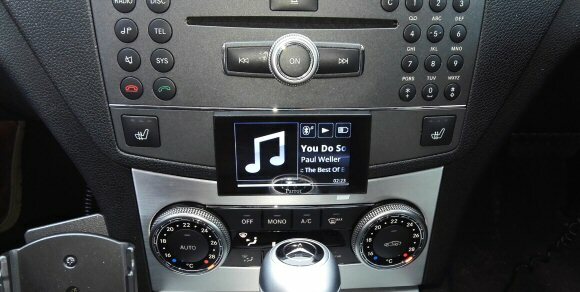 A photo of a Kenwood DNX 7170DABS Multimedia System installed by JustCarKits in a Saab 9-3 facelift model. 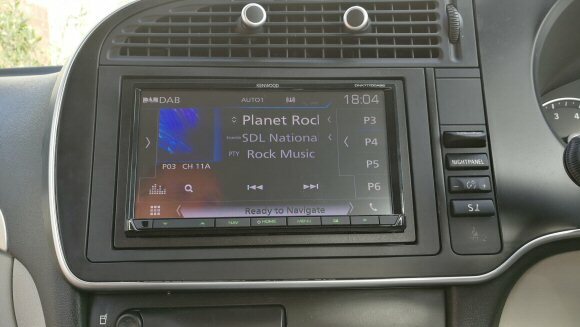 This installation gave the customer a Touchscreen Multimedia System with AM/FM/DAB/ Bluetooth handsfree, Music streaming, USB socket for charging or music from their iPhone / Android phone, as well as a 3.5mm jack. We also connected the original steering wheel buttons with Phone Button support to be used by the Kenwood unit. 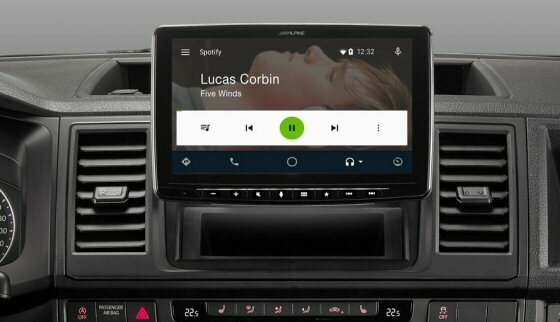 This meant the Phone Answer and End buttons on the steering wheel (as well as Track and Vol buttons) could be used with the Kenwood unit. 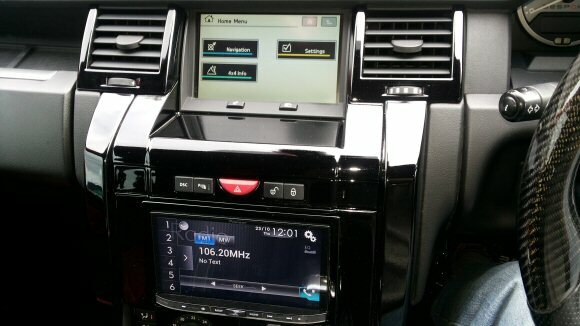 A photo of a Pioneer AVIC F60DAB Multimedia System installed by JustCarKits in a Range Rover Sport. 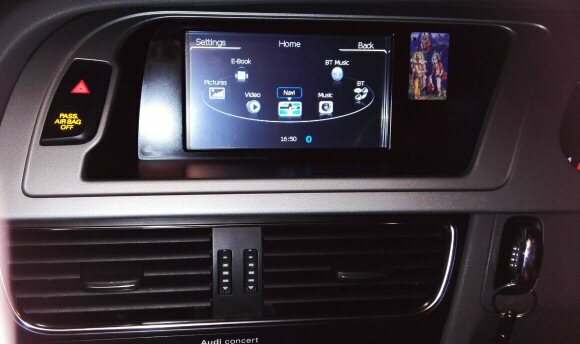 This installation gave the customer a Touchscreen Multimedia System with AM/FM/DAB/CD/DVD Bluetooth handsfree, Music streaming, USB socket for charging or music from their iPhone / Android phone, as well as a 3.5mm jack. 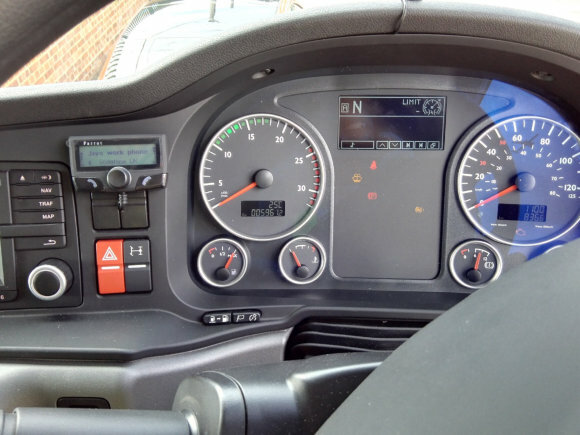 We also added a reversing camera and connected the original steering wheel buttons to be used by the Pioneer unit. As part of the installation we retained the existing Range Rover display, so that vehicle information and settings were still accessible. 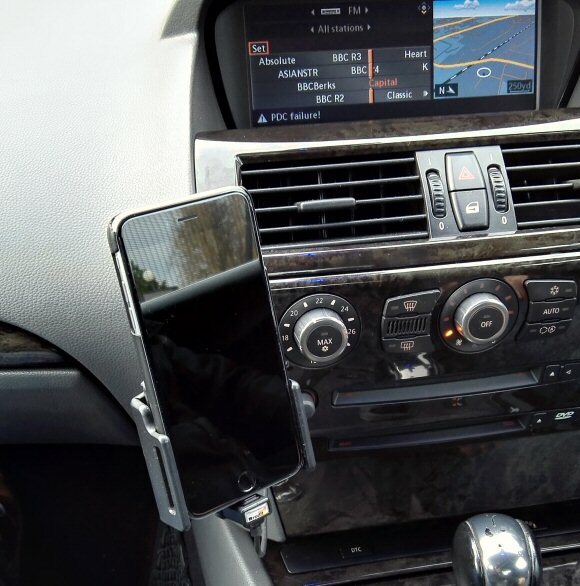 This photo shows a phone holder with charging installed in a BMW 6 Series. Rather than having the wiring trail from the cigarette lighter socket, this charging holder for the iPhone 6 Plus was mounted on a "no hole" bracket. 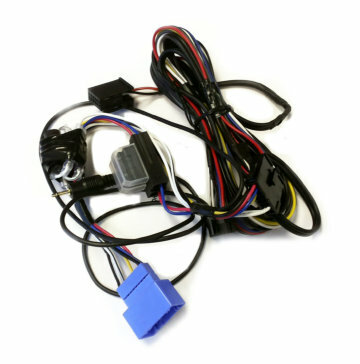 We then wired it to an ignition switched connection behind the vehicle trim. 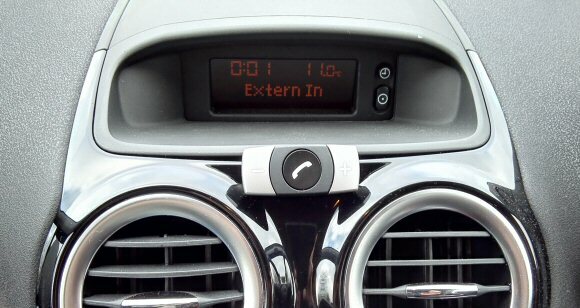 A photo of a Parrot Asteroid Mini installed by JustCarKits in a Mercedes C-Class. This installation gave the customer Bluetooth multipoint handsfree (2 phones connected at the same time) with voice recognition, a 3.2 inch colour screen, Music streaming, SD Card reader, 2 USB sockets for charging or music from their iPhone, as well as a 3.5mm jack. 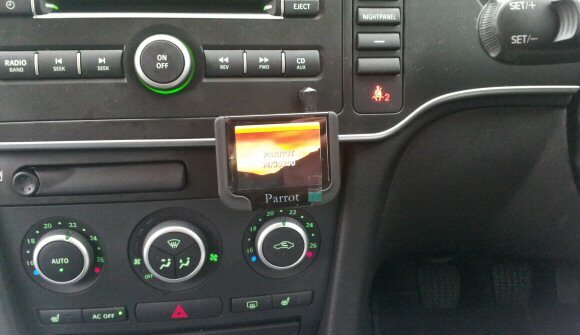 A photo of a Parrot MKi9200 installed by JustCarKits in a Saab 9-3 facelift version. This installation gave the customer Bluetooth handsfree with voice recognition, Music streaming, SD Card reader, USB socket for charging or music from their iPhone, as well as a 3.5mm jack. All through the amplified sound system. 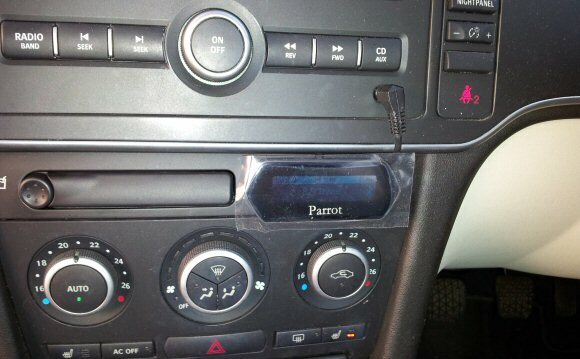 A photo of a Parrot MKi9100 installed by JustCarKits in a Saab 9-3 facelift version. This installation gave the customer Bluetooth handsfree with voice recognition, Music streaming, USB socket for charging or music from their iPhone / Android Phone, as well as a 3.5mm jack. All through the amplified sound system. A photo of a Parrot MKi9100 installed by JustCarKits in a Saab 9-3 pre-facelift version ( 2001 to 2006 ). 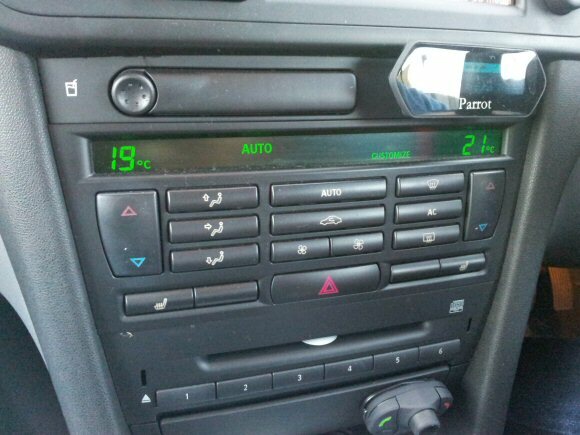 A photo of a Bury CC9048 installed by JustCarKits in a Vauxhall Corsa 2008. 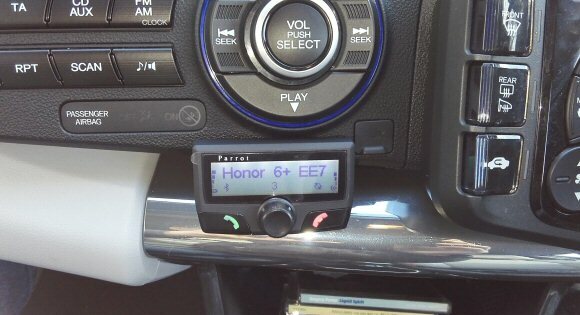 This installation gave the customer Bluetooth handsfree with voice recognition, Music streaming, micro USB socket for charging, as well as a 3.5mm jack. 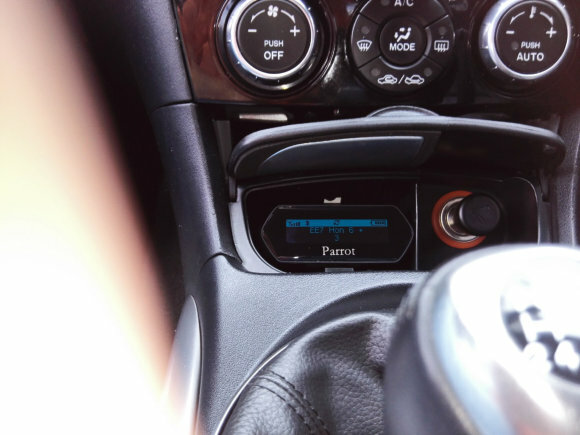 A photo of a Parrot CK3100 installed by JustCarKits in a Land Rover Discovery 3 with Harman Kardon amplifier upgrade. This installation gave the customer Bluetooth handsfree with voice recognition, a display for caller info and phonebook access. 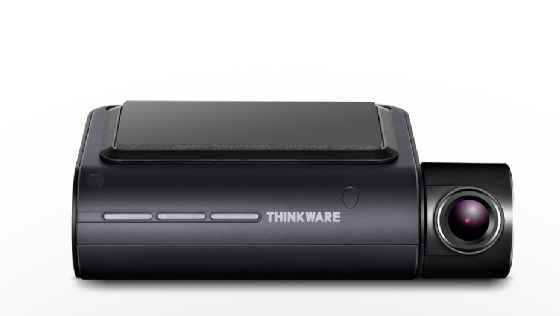 Up to 5 phones can be paired with the CK3100 (only 1 can be active at any time). 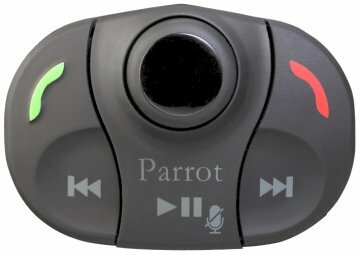 Stereo is muted during calls and handsfree sound is through the front vehicle speakers. 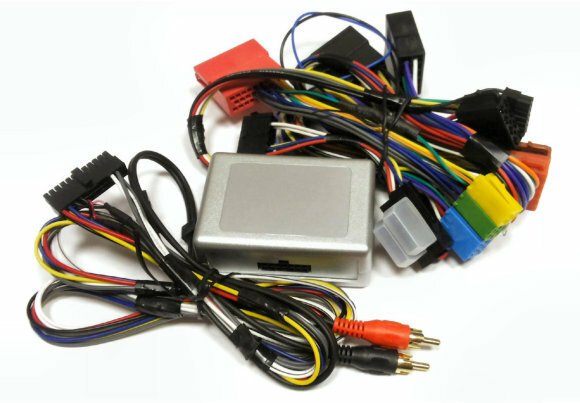 CK3100 is wired to turn on / off with vehicle ignition. 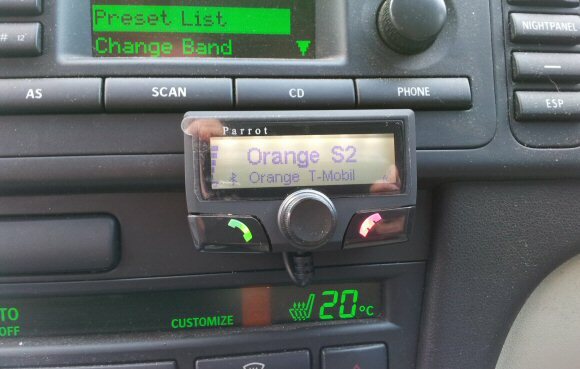 A photo of a Parrot CK3100 installed by JustCarKits in a Saab 9-3 pre-facelift version ( 2001 to 2006 ). 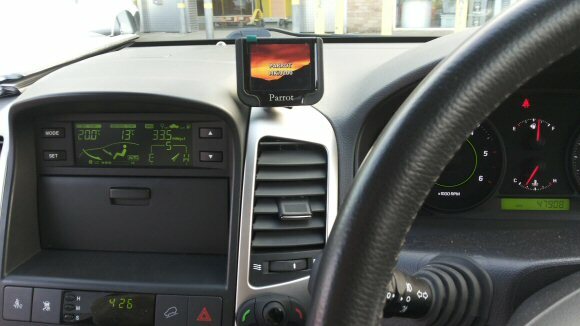 A photo of a Parrot MKi9200 installed by JustCarKits in a Chevrolet Captiva. A photo of a Parrot MKi9200 installed by JustCarKits in a Lexus R4300 with amplifier upgrade. 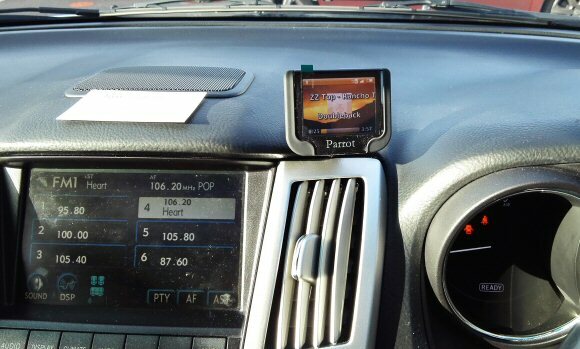 A photo of a Parrot CK3100 installed by JustCarKits in a Honda CR-Z. 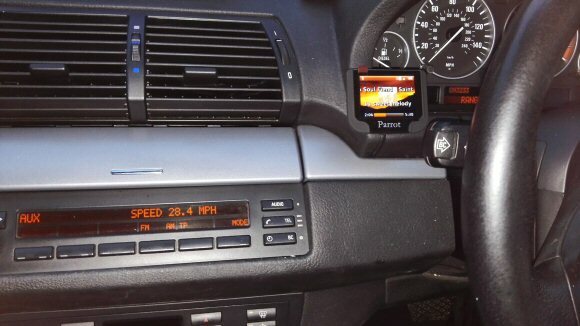 A photo of a Parrot MKi9200 installed by JustCarKits in a BMW X5 2003. 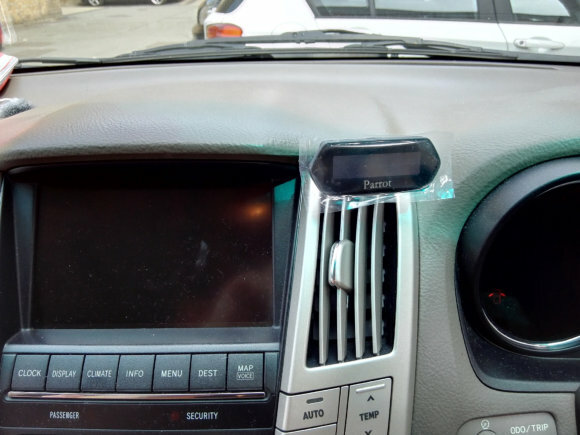 This installation gave the customer Bluetooth handsfree with voice recognition, Music streaming, SD Card reader, USB socket for charging or music from their iPhone / Android phone, as well as a 3.5mm jack. A photo of a Parrot MKi9100 installed by JustCarKits in a Lexus RX300 with mark Levinson upgrade. This installation gave the customer Bluetooth handsfree with voice recognition, Music streaming, USB socket for charging or music from their iPhone, as well as a 3.5mm jack. All through the mark Levinson upgraded sound system. 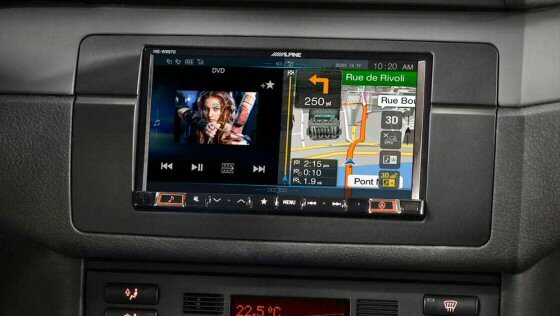 A photo of a Touchscreen Navigation system with Bluetooth installed by JustCarKits in a 2008 Audi A4 B8 model. This installation gave the customer a Touchscreen Satnav with Bluetooth handsfree, Music streaming, USB socket for charging or music from their iPhone. 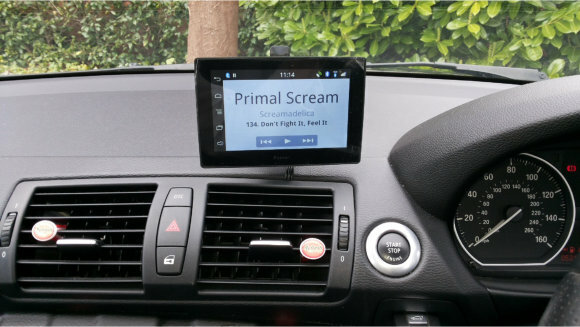 Here we have a Parrot Asteroid Tablet installed by JustCarKits in a BMW 1 Series 2008. This installation gave the customer a 5 inch colour touch screen, Bluetooth handsfree, Navigation, Music streaming and many other features. 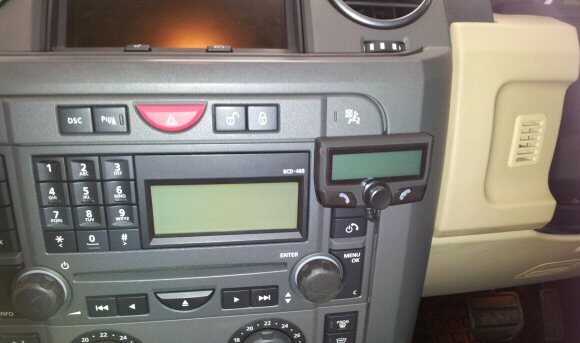 A photo of a Bury CC9048 installed by JustCarKits in a Honda Civic 2007. 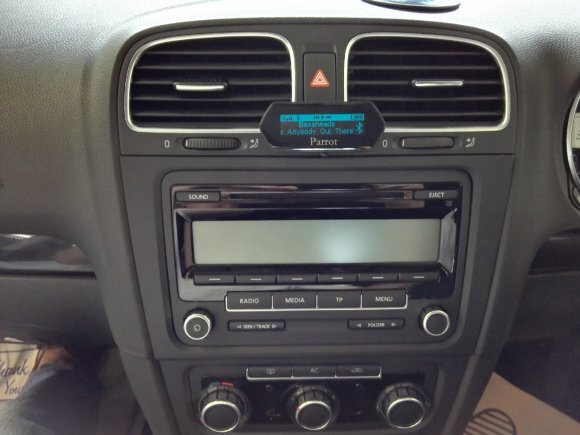 A photo of a Parrot MKi9100 installed by JustCarKits in a VW Golf MK6. This installation gave the customer Bluetooth handsfree with voice recognition, Music streaming, USB socket for charging or music from their iPhone, as well as a 3.5mm jack. 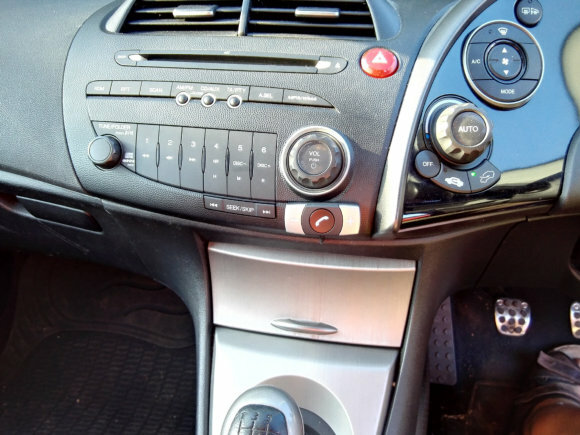 A photo of a Parrot MKi9100 installed by JustCarKits in a Mazda RX-8 with Bose upgrade. This installation gave the customer Bluetooth handsfree with voice recognition, Music streaming, USB socket for charging or music from their iPhone, as well as a 3.5mm jack. All through the mark Bose upgraded sound system.